Families often express gratitude for their time at The Nature Place. Reading some of the kind words we’ve received can help illuminate many of the qualities, feelings, and less tangible experiences of camp. My 13 year old son started at The Nature Place Camp at age 9 and absolutely loves it. He has made very good friends there that he sees in the winter. It is a warm noncompetitive experience where the kids learn a tremendous amount about the environment. In addition, the hiking and camping skills they learn will last a lifetime. By taking the kids on overnight trips, they slowly learn independence and survival away from our regular comforts of home. The camp is very attentive to his needs. Supervision is excellent on campus and off campus. Since it is not a very big camp, the staff gets to know the kids very well and the kids feel as if they are part of a family. I wish that I could have gone to this camp as a kid. The Nature Place is wonderful. Everyone – from the Camp Director to the counselors to the bus drivers – is warm, kind and deeply committed in making sure that every child has an exceptional summer. Every day the kids go swimming in the “lake” (actually a zero entry pool with a sandy beach and well-trained instructors. Perfect for nervous swimmers and budding sand castle architects). There’s also a “fairy stream” they can splash in and pan for gold (suuuuper exciting!). It’s just a welcome relief from the stress and competition of life in NYC. My son loved it and we’re planning on returning this summer. It doesn’t get lovelier or more wholesome than this camp. My two VERY different kids have gone for three summers, and I am always amazed at how one camp can make them both so incredibly happy. The staff is devoted, warm, and responsive, and the director’s interest in ensuring that each child feels secure and has a ball is extraordinary. The grounds are beautiful, with a pool that looks like a lake. We love the gentle approach, the non-competitive atmosphere, the nice kids this place seems to consistently attract, the thoughtfulness that goes into programming, the amazing field trips (crabbing or sailing on the Hudson, anyone? ), and the animals. Many campers and counselors return year after year, and the continuity builds a wonderful sense of community. We researched tons of camps and feel very lucky to have found this one. My son and daughter love Nature Place so much. It’s all about being outside and discovering nature. The counselors are caring and fun. The campers swim almost everyday in a gorgeous man-made pond, do arts and crafts, go on hikes and learn so much. It’s a great antidote for busy, modern life. My family has attended the Nature Place for 10 summers. We cannot say enough good things about this wonderful place. Camping, canoeing, swimming, farm days, cooking, games, archery, music – it’s really a fantastic place for kids of all ages. The staff is attentive, skilled and genuinely love what they do. My kids have become skilled outdoorsmen while learning how to walk lightly upon the earth. I am grateful for this place. I am a mother of four. My children have spent the past four summers here, and plan to return again this summer. My four children are each vastly different individuals, ranging from a teenage chess playing math-science geek, to a sports crazed energetic tween, an artsy music-dancing-singing fanatic, and one that embodies a bit of each with an added twist- an incredible talent for drawing. My kids are not typical. They are super individuals, yet they have all found a place here at Nature Place Day Camp. The camp truly feeds the body, mind and spirit of its members-it is a truly unique place. It is a respite, an oasis of fresh air, green meadows, blooming gardens…and they welcome everyone to be a member. Counselors and staff have gone out of their way to help my children feel welcome and to feel a sense of belonging. The staff works with parents, therapists, etc. to help a child succeed at camp-including special needs children. If you express your wishes, needs and dreams for your child, they will work with you to do whatever they can to make those dreams come true. It has been an invaluable experience for my children. It has been an invaluable experience for me. It is our home away from home. I cannot say enough glowing things about The Nature Place. It is a really exceptional day camp. The quality and the dedication of the staff is unsurpassed. One of my children has special needs and the camp worked incredibly hard in partnership with us to give my son the best summer of his life. There is such a warm and nurturing culture at camp. It’s a safe space where my children felt confident enough to try new things and take on new challenges. I was blown away by the maturity of the staff and the amazing number of staff members who had grown up coming to TNP. That kind of retention speaks volumes about a camp. Both of my children left TNP with a true love and appreciation of nature. As city kids we were so thrilled that they got to spend so much time in nature and really explore the natural world. The programs at camp were thoughtful, educational and most importantly, fun. My kids regularly sing songs from camp and double over laughing about the silly skits the counselors performed or the hilarious stories that Chuck the Storyteller shared with them. My kids are very different and have varied interests but they both adored TNP. The array of programs and activities kept them both fully engaged and filled with excitement for the next day. They loved the overnight trip (and the “almost overnight” for my little one) and often pretend to go on camp outs in their bedroom and relive the fun. 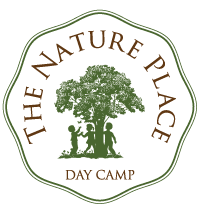 The Nature Place provides a singular day camping experience that just isn’t offered elsewhere. The sense of community and friendship is inspiring and we are so thrilled that our kids are returning to camp this year. You would truly be giving your child a gift by sending them to The Nature Place.